Dassault Systemes has brought together a multidisciplinary team of experts to collaborate on breakthrough technology with the Living Heart Project for improved products and treatments for cardiovascular disease. 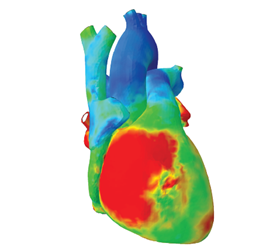 The project’s first output is the Living Heart Model (LHM), a realistic 3D computational model of the human heart. This case study discusses the Living Heart Project and the plans for further developments and clinical applications rising from its efforts. Download the paper for the full story.